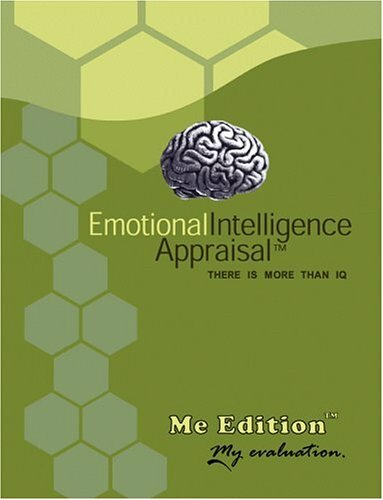 The Emotional Intelligence Appraisal is a test that measures your emotional intelligence (EQ) using Daniel Goleman's benchmark model. It's easy to use and score, and it shows you how to improve your EQ with practical strategies based upon your unique profile. Emotional intelligence is the ability to manage emotions and relationships. It is critical to success in work and personal life. In fact, studies show that EQ predicts job performance 2 to 1 over intelligence and job experience. Use the Emotional Intelligence Appraisal to measure your EQ in the four critical skills from Daniel Goleman's model. The test measures Self-Awareness, Self-Management, Social Awareness, and Relationship Management. The test is ideal for personal use, or for training in the workplace. The Emotional Intelligence Appraisal is used by Fortune 500 corporations worldwide in training and leadership development programs.